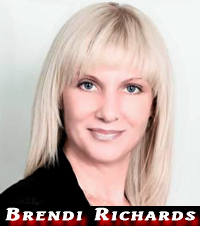 Brendi is a marketing professional from South Africa with extensive experience in marketing management, media & PR skills and runs her own traditional and online marketing and advertising agency. Brendi grew up in South Africa during the Apartheid era and witnessed the transformation as it happened in 1994 when she was old enough to vote for the first time. Having lived and worked in South Africa for the last 20 years post-apartheid, she has kept a close eye the changes the country has gone through. She is Admin on the Facebook Page “The-Truth-About-South-Africa” where she reports daily on the high murder, crime and corruption currently taking place in South Africa.